The best breeze of Sail Port Stephens’ second half closed out the pointscore for a record number of entries, triggered wild wipeouts and decided a brand new Australian Sports Boat Association champion and state champions in the VX One class, plus three IRC divisions. Extreme weather, including 20-knot squirts of sou’west wind, driving rain and hail at Salamander Bay hit the sports boats, VX Ones and Performance Racing division 2 as they completed three windward/leewards. Offshore the IRC and Performance Racing fleets missed an early rain squall over Nelson Bay but weren’t spared an afternoon downpour. Previous multi-sports boat champion Andrew York and Reo Speedwagon finished second overall, 10 points off the frontrunners, and the spill of the day went to Jamie Berndt’s Shaw 650 Situation Normal which was flying downwind in a big breeze and finished up turtled with a broken keel. IRC division 3’s latest state champion is the Lake Macquarie Farr 31 Sofarr, Dale Sharp’s five firsts and one third place unequalled among the challengers. 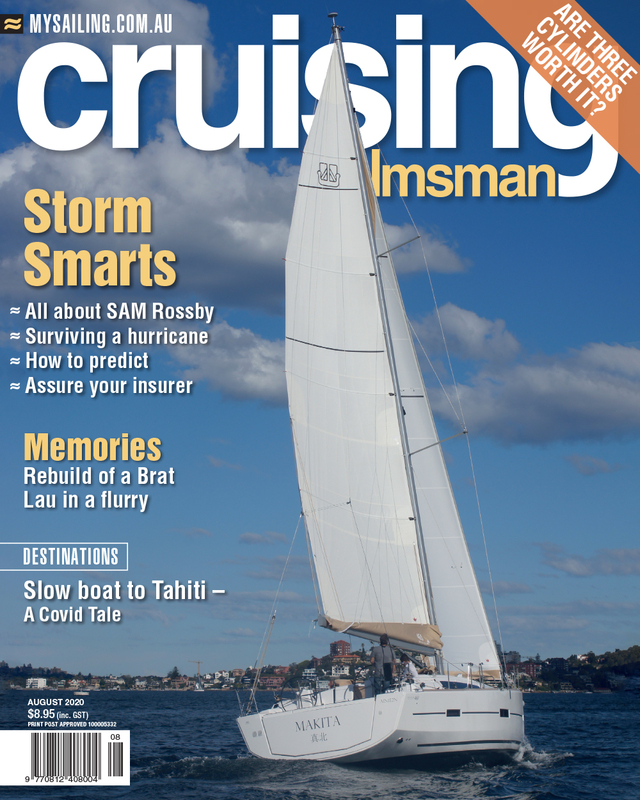 “We only IRC rated the boat a couple of weeks ago so we are a little surprised. We were sailing with an 18 or 20 year-old mainsail and it did what it needed to do, we are all pretty chuffed.